Welcome to The Athletics of Business, a podcast about how the traits and behaviors of elite athletes and remarkable business leaders frequently intersect. In this podcast, you’ll learn about the real stories and hard lessons to help you level up your leadership and performance. A great athlete like Seth Curry didn’t get where he is without resilience, positivity, and a competitive mindset. And guess what? Neither do great business leaders like Howard Schultz of Starbucks, Brad Smith of Intuit, or Sir Richard Branson of Virgin. Sports is used as an analogy for business all the time. Why? Because sports are a microcosm of life. This podcast is all about exploring the leadership lessons, mental fortitude, and sustained success that truly great athletes and successful business professionals share. 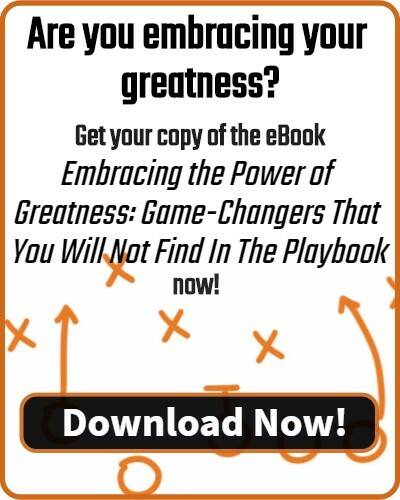 We will dig into the skills, traits, and behaviors that empowers them to unleash their greatness. What drives the best of the best? Why are these men and women able to think, act, and execute at a higher level than anyone else? My name is Ed Molitor and I have spent the last 26 years developing my leadership skills and helping people to grow into their greatness in three incredibly competitive industries including coaching college basketball at Texas A&M, performing at a high level in one of the most competitive mortgage markets in the country here in Chicago, and serving as Vice President of Operations in an industry leading recruiting firm where we specialize in consulting and placing former military in jobs throughout the country. While working with the best and brightest minds in these three industries, I saw what the top leaders did every day to perform at the highest level. The Athletics of Business is a result of my experiences, and it is a mindset born out of the foundational belief that the skills, traits, and behaviors deployed by elite athletes are not only applicable in business, but that they are the key to your success. Over the years, I have seen one thing consistently hold true, and that is that the mindset of an elite athlete in a top performing business leader are remarkably alike. The stories, lessons in interviews you will hear on this podcast are going to be hard hitting. They are going to be blunt, they are going to be honest, they are going to be powerful, and they are going to be authentic. You can’t be soft with someone on the basketball court and expect them to be great, and I won’t treat you as a listener any different. This podcast is for people of action — people looking to level up their leadership and performance — people who wants sustained success in had the competitive mindset needed to go the distance. None of our guests have made it this far without this mindset.